This is the Book of Psalms of the Old Testament. It has an introduction of seven chapters written by Ibn El-Assal. There is also a preface by Saint Gregory of Nazianzus and another by Saint John Chrysostom. It contains psalms and at the end is the story of Chaste Susanna, which is one of the Second Canonical Books, the Apocrypha of the Old Testament. It also contains the Synaxarion of the whole year. 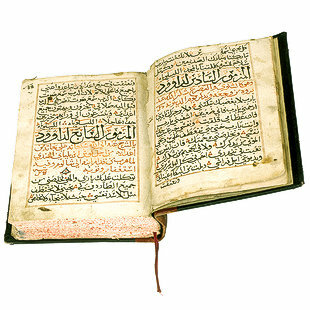 This book is written in Arabic and contains 198 pages with 15 lines on each page. The psalms occupy pages 1-133, the collections of Ibn El-Assal pages are 134-150, and the story of Chaste Susanna is on pages 150-179.